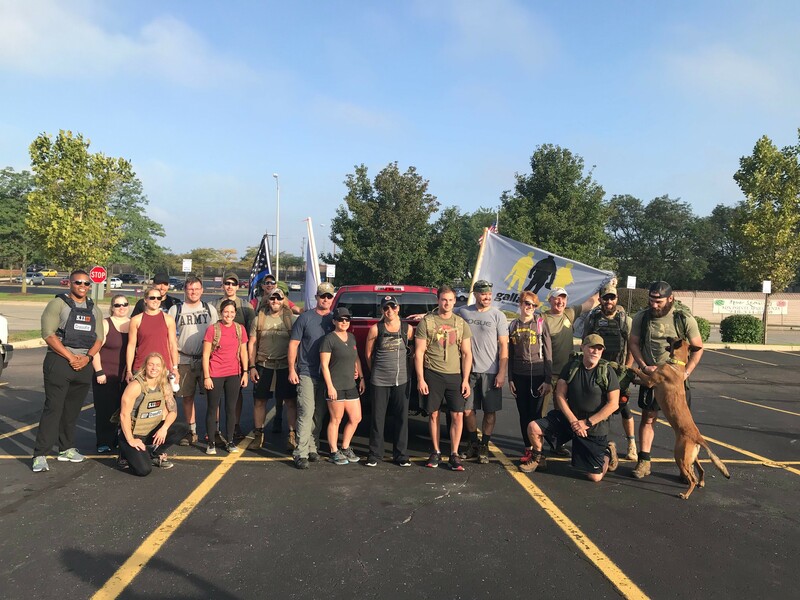 On Saturday, September 15, Chief Palazzolo took part in The Woodward Ruck for Detroit Veterans, a 20 kilometer (12.46 miles) walk to raise awareness for veteran suicide. The event was organized by Vet Rec, a local non-profit founded by personal friends of the Chief, Nick Ostrowsi (USAF) and Chad Cox (US Army). Vet Rec’s mission is to bring veterans together regardless of age, branch, or conflict in order to provide support and build a community looking out for each other. Participants had the option to carry a “ruck” with them, which represented the unique characteristics and challenges veterans carry with them every day. By walking down one of the busiest streets in Metro Detroit during peak business hours, the hope was to start a conversation with the community to make change locally and to bring veterans and civilians together to create a stronger bond. Vet Rec is a local non-profit that is part of a larger national non-profit, GallantFew, founded by Carl Monger. GallantFew’s mission is to prevent veteran isolation by connecting new veterans with hometown veteran mentors, thereby facilitating a peaceful, successful transition from military service to a civilian life filled with hope and purpose.